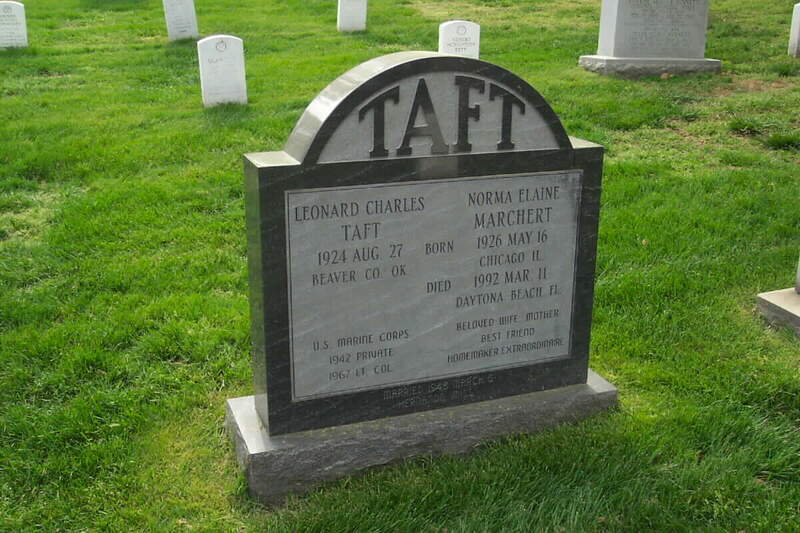 Leonard Charles Taft, 82, Lieutenant Colonel, U.S. Marine Corps (Retired), died Thursday September 7, 2006. Leonard was born on August 27, 1924, on the Taft Gig-Bar Ranch in Beaver County, Oklahoma, to Daisy May Woods Thompson Taft of Darrosset, Texas (who died in 1957) and Charles Wallace Taft of Homewood, Illinois who relocated and homesteaded the ranch in No-Man's Land in the 1880's, and died in 1947. Leonard enlisted in the Marine Corps as a Private shortly after graduating from Continental, Ohio High School in the Class of 1942. He served his country for 25 years during World War II, the Korean War (where he was a prisoner of war for 26 months and was "The Last Man Out" during the "Big Switch" prisoner exchange of September 6, 1953) and in the Vietnam War, where his last assignment was as Commanding Officer of the VMA-223 (a jet attack squadron). Over the years he had flown aboard numerous aircraft carriers in both propeller and jet aircraft. He flew 30 some missions in Korea and 138 missions in Vietnam. Though proud of his service to his country, he was hesitant in speaking of it. The record, however, shows he was awarded 14 different medals with two to eight stars for additional awards for the same medal, including the Purple Heart. 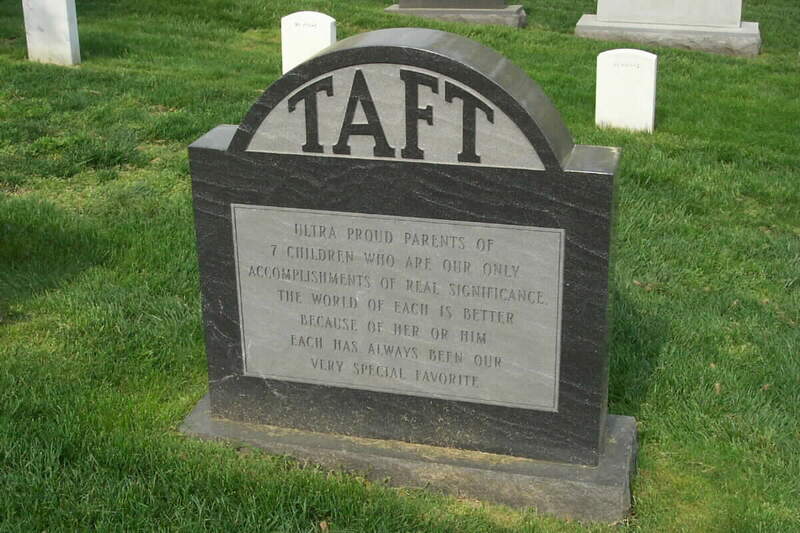 He always considered helping his wife, Norma Elaine Marchert Taft (deceased), raise their seven children to be honest, reliable, dependable, hardworking, self-reliant citizens as the major noteworthy accomplishment of his life. He had always been ultra-proud of each of them. His heroes had always been heroines, i.e., women-and more especially Mothers. He believed each pregnancy to be potentially life-threatening, too often life-taking, and that each delivery merits the Congressional Medal of Honor. He is survived by his wife, Bettyanne Emerick Diamond Taft, his Class of 1942 classmate and heartthrob, of Continental, Ohio, with whom he found life to be an absolute joy and delight; his four daughters: Norma, Jr.; Leonore; Kathryn; and Alicyn; his three sons and one step-son: Leonard, Jr.; Fredrick; Lawrence; and Kim Diamond; 13 grandchildren, two step-grandchildren, one great-grandson, two of eight sisters (Blanche and Elnora), and a wonderful group of nieces and nephews, all of whom he loved dearly. He was a member of the American Legion Post #120, Holly Hill, and a Loyal Member of Moose Lodge #1263, Daytona Beach. He will be buried in Arlington National Cemetery, Virginia, just outside of Washington D.C. In lieu of flowers, memorials may be made to the charity of your own choice. of real signifance. The world is a better place because of her or him. Each has always been a special favorite.